Knowing where you come from is always a good place to start in getting to know yourself a lot better. Having a deeper knowledge about your ancestry will help you answer questions about your family more accurately. In this sense, a family tree holds the answers the those questions. A family tree holds a family’s history; more than just the name and numbers, it holds a sense of identity that members of the family can make good use of. Furthermore, a family tree is a good way to preserve the history and ensure that it is passed down to the generations to come. Through a family tree, stories are preserved, told, and enjoyed by the entire clan. Concrete Plan: You need to have a concrete plan on how you want to do it. 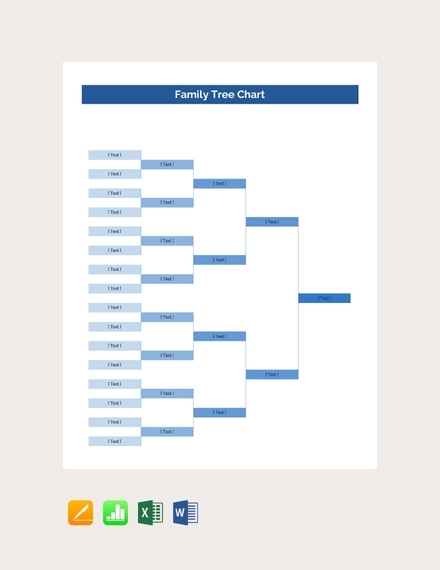 For example, if you want the family tree to be printed, it’s best to be conservative with the amount of information to include; however, if the family tree will be shared electronically, you will have more freedom as to how big the family tree is going to be. Determined Level of Complexity: After deciding what you want for your family tree, you also need to determine how much detail you are going to include. Knowing this will help you identify the amount of research to be done. Since the level of complexity will affect the details you are to include, it will also influence the overall appearance of the family tree. Reliable Sources: It is important that the details you include in your family tree are true and accurate. Thus, you must gather information from reliable sources. Reach out to relatives that know a thing or two about your ancestry. An in-depth family tree can only be made if you talk to your family members. Identified Audience: As you know, a family tree contains stories that connect to the history of the entire family. It can include information that has not been discussed within the family; thus, before you share crucial family stories and secrets, it is best to identify your audience beforehand. The audience for your family tree must be included in your overall plan so you can cater to them and tailor the information you include. Supporting Details and Images: A family tree is more effective when there are supporting details to certain information. 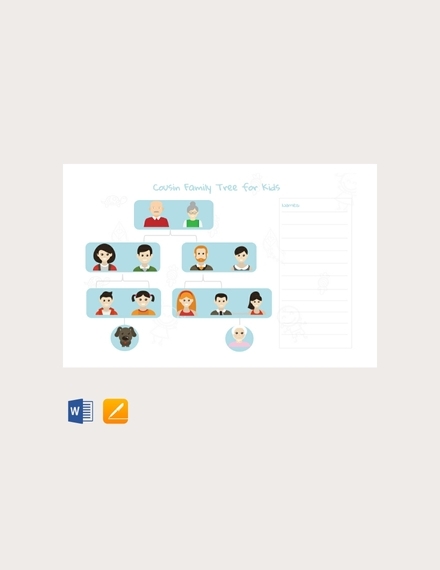 In the same sense, a family tree will be more engaging when you include images of family members, events, etc. 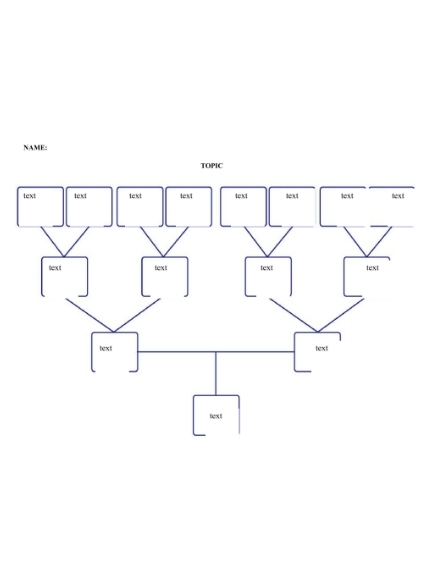 Comprehensive Design: The design of your family tree should allow you to organize and arrange your contents in a comprehensive and effective manner. Remember that the design you follow for your family tree will help translate the information to your readers; thus, choose a design that will effectively deliver the information chronologically. 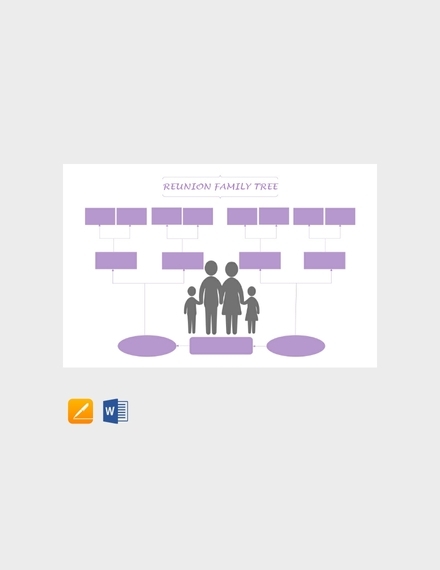 Realistic Deadline: A family tree takes time to make. It is important that you set a realistic deadline for yourself not only to help you collect as much information as you need, but also to provide you with enough time to fact check, proofread, and edit your family tree. Remember that quality is more important than a quick finish. Before you start making your family tree you need to formulate a plan. Decide on how you want your output to be shared, how much information you need to include, who the family tree will be shared to, and so on. It should include the steps you need to accomplish before proceeding to the next step. Basically, you need an action plan that will guide you throughout your family tree-making process. As mentioned, your family tree needs accurate information in order for it to be effective. This means you need to gather your information from credible sources. Contact your family members so that you can conduct interviews about your family. If you’re lucky, maybe some family members have already done some research for you. You can even scour the internet or talk to close family friends for additional info. This should provide a clear context to make it easy for people to read the chart. 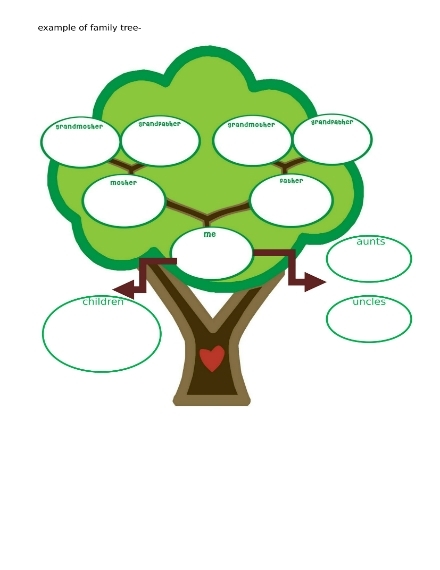 If you have gathered enough information for your family tree, you can proceed to making an outline. The outline will help you determine which is the best way to present what you have generated. 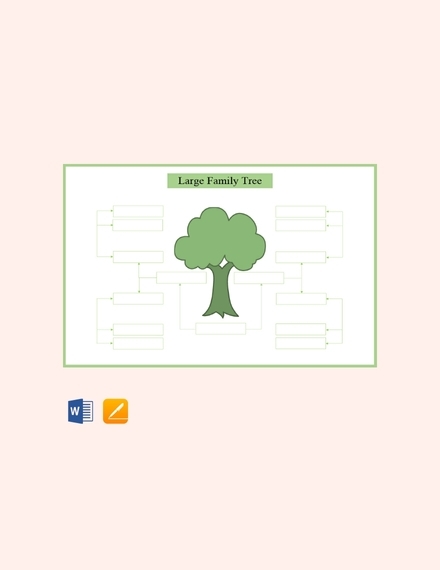 It also serves as the draft of your family tree, which will help you organize your information. 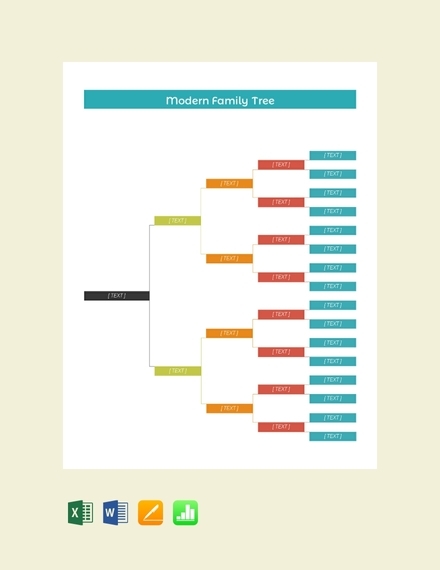 Furthermore, the outline will give you an overview of how your family tree is looking so far. Since you now have an outline as your guide, you can start organizing the information you have gathered. Make sure you present a coherent story and timeline. It’s best if the information in your family tree is presented chronologically so you could showcase it in a story-telling manner. It’s basically a timeline chart which explains what happened and why it happened. Aside from the information you include in your family tree, it is also best to include other supporting details such as titles or links to articles, images, newspaper clippings, and so on. 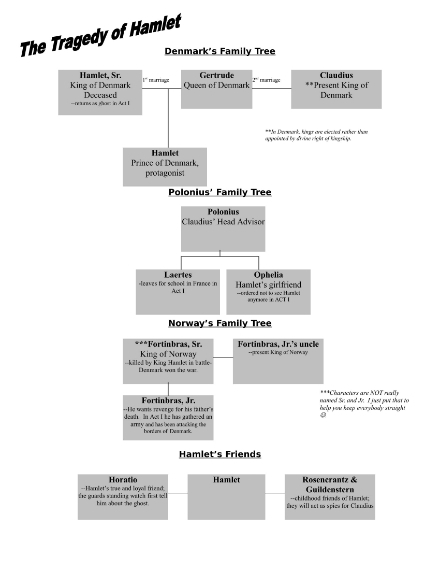 This will make your family tree more interesting and informative to your audience. Just like any written output, remember to proofread your family tree. Make sure to check if the information you have included are accurate, for any misspellings or errors, and if dates or timelines are coherent and correct. Although this is just a family tree, any errors or mistakes may lead to family disagreements. Edit out mistakes or errors accordingly. Contact your family members and gather information from them. Gather as much information, pictures, memorabilia, etc. of your family. It is best to start with the basics of your family history before diving into other aspects of your ancestry. Set realistic and attainable goals; set realistic deadlines and know when and where to stop. Have enough patience especially when uncovering older events that require more effort. Choose an overall design that will present your family tree in a clear and detailed manner. Make sure to proofread and edit your family tree before publishing it. Should you want to focus and present more about your ancestry, this is the perfect family tree for you. An ancestor chart starts from the bottom with the writer leading upwards to his/her parents, grandparents, fore-fathers, and so on. It typically follows an ascending order. This family tree follows a descendant structure which means it displays the descendants of the writer. It starts from the top showing all the children and grandchildren of the forefathers. A sandglass diagram is a combination of both an ancestor and descendant family tree. The writer is shown in the middle while the ancestors, children, and relatives are seen over and below one’s name. 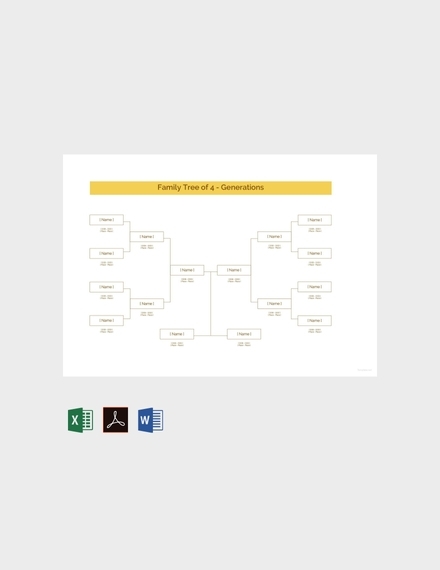 This allows the writer to display both his/her ancestors and descendants in one family tree. Although the three main types of family trees are mentioned above, there are still other types of family trees you can use. 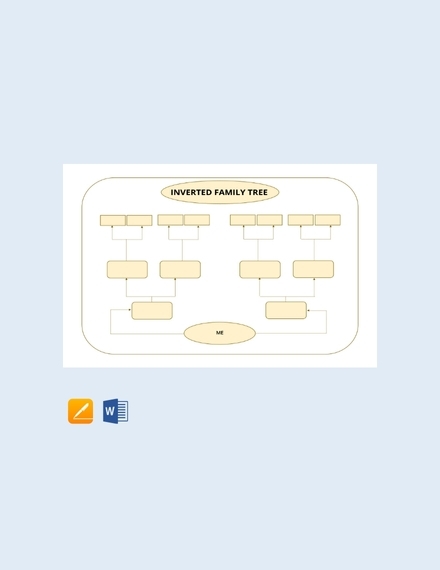 This includes the Five Generation Ancestor Family Tree, Stepfamily Tree, Biographical Family Tree, Family Group Sheet, Relationship Chart, and Adoptive Family Tree Chart. A family tree is somewhat like an illustration that displays the hierarchy of all the members of a family. It helps present how members of the family are associated with each other, but more than that it displays the history of the entire family. 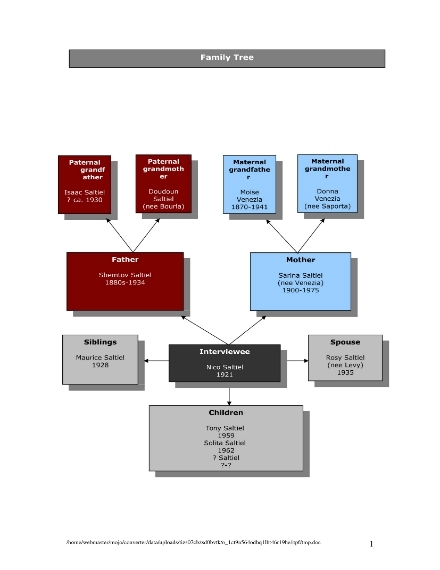 A family tree presents these connections similarly to a flow chart. 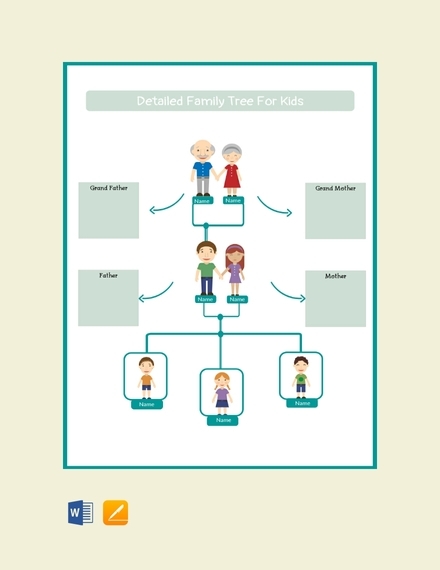 What are the benefits of understanding a family tree? A family tree helps you understand your family history and helps build the relationship within the family. Additionally, understanding a family tree can help the family become closer, achieve a sense of mental peace, create a unity within the family through understanding the overall struggles, and increase the love and appreciation for the family. It can come in handy when finding distant relatives and cousins as well. 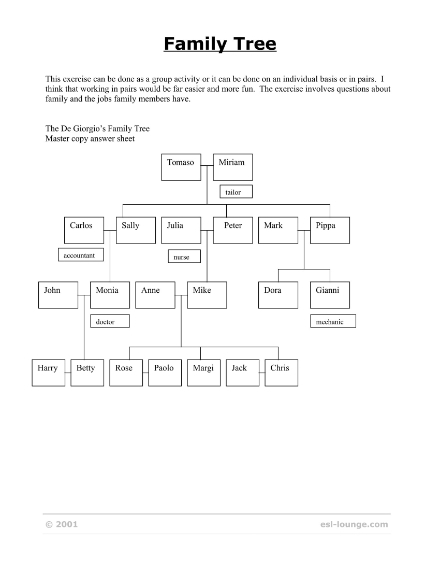 Is it difficult to make a family tree? A family tree can be difficult to make especially when your ancestors were not keen on sharing family stories and keeping family keepsakes. It requires a lot of patience and dedication when researching and gathering information. It can be different for every family; some families uphold family traditions and history while some don’t. However, a family tree is worth it since you get to study and understand your family’s history from a new perspective.